Rotary clubs across the Arun district are calling for nominations of young people who deserve to be recognised in the community for achievements including bravery and charity work. Preparations for the Arun Youth Community Awards are well underway, looking to reward selfless people aged 11 to 19 who have been nominated by their friends, parents or teachers. In 2015 the Rotary clubs took on the running of this event and the 2019 presentation evening is booked for March 13 at the Windmill Theatre in Littlehampton. 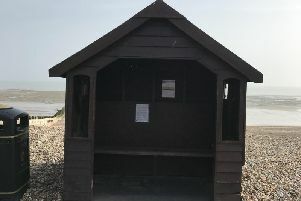 Geoff Watts, community service committee chairman for the Rotary Club of Littlehampton, said: “There must be some readers who are aware of young people who have performed any action, service or project that has benefitted the community. Nominees from each age group will be competing for a trophy and gift voucher prize, with Arun Youth Council choosing the winners and the four Arun Rotary clubs presenting the awards. To nominate by post, write down brief details of the nomination, your address and home telephone number and address it to RAYCA, 17 Overdown Road, Felpham, West Sussex, PO22 7HW. The deadline to get entries in is January 31.